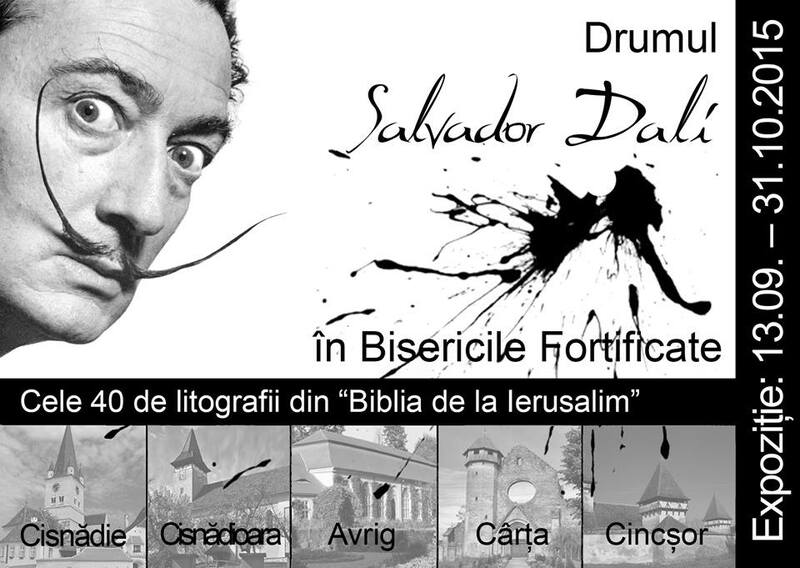 The “Salvador Dali Road” will present 40 original lithographs from the Bible Sacra. Thez were created between 1963 and 1964 at the urging of Giuseppe Albaretto. He wanted to confront the Dali with its Christian roots. Illustrating automatically the artist also needed to reflect on biblical passages. Originally, they were painted watercolor illustration, and in 1970 were transposed by Dali himself in lithography technique. 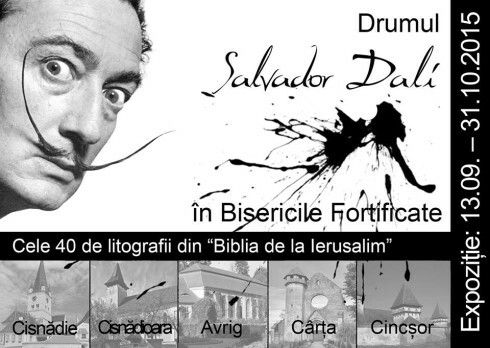 Tickets for “Drumul Salvador Dali” (20 adults Lei, 10 Lei pupils and students) go on sale from Monday, August 17th 2015. They are available at the reception Hotel Casa Luxemburg Piata Mica nr. 16, as well as at exhibition locations. A ticket is valid for all 5 locations. Transylvania Card holders dispose of free entrance. Dali’s Bible is actually “Sacred Bible” or “Bible of Jersusalem” with illustrations made by Salvador Dali. In the mid 1950s, Salvador Dali knew Mara and Giuseppe Albaretto and – against his nature – had a close friendship with them. That was also because he was fascinated by their little girl. Albaretto became Dali’s Italian family and their friendship lasted until his death. In turn, Giuseppe and Mara Albaretto became collectors and fans of Dali’s works. From here originate some important Dali creations, including 40 illustrations of the Bible. Giuseppe Albaretto wanted that Dali should confront his christian roots, and therefore asked him to illustrate the Bible. He tought that illustrating the Holy Scriptures is not possible without opening yourself to its “Spirit”. These lithographs by Salvador Dali will accompany you along the way in the fortified churches of 13 September to 31 October 2015.